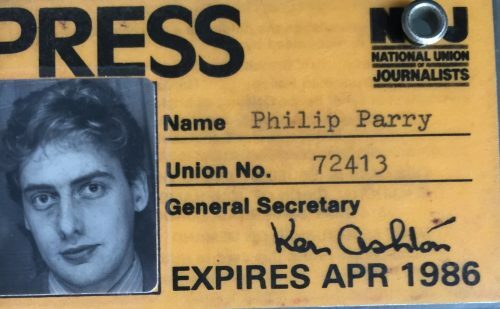 He has also explored how poorly paid most journalism is, the importance of expenses, and about some of those he has interviewed for the now-defunct BBC Wales TV Current Affairs series, Week In Week Out (WIWO), which won an award even after it was axed. Robert Tressell has a lot to answer for! Here Mr Parry explains how his career at The BBC really began. It all came down to a book. I was being interviewed by a panel of senior managers for my first job as a temporary ‘Sub-Editor’ on Wales Today at The BBC in 1987 and it was going really badly. They called these interviews ‘boards’ then, as they tried to emulate the Civil Service system, before things really began to change. I answered all the questions wrongly and I could sense that those on the board had taken against me. In those days they asked you what book you were reading. 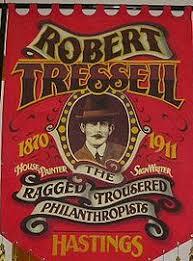 I answered, quite truthfully, it was The Ragged Trousered Philanthropists by Robert Tressell and from that moment onwards it all changed. 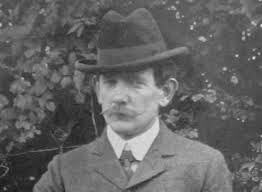 The book is, in effect, the bible for Christian Socialists and one of the people on the board was John Stuart Roberts, then Head of Television at BBC Wales. 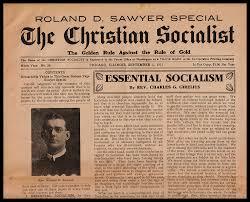 Little did I know but John was also a major supporter of Christian Socialism – and the movement has a great tradition. I’ll let The BBC newsreader Huw Edwards explain 10 years ago his background: “John won’t mind me saying that he’s a maverick – a Congregationalist minister who became a very talented broadcaster and executive… John was rather a scary figure: he enjoyed his (deserved) reputation as a free-thinking, provocative, unpredictable figure who openly despised the leaden ways of BBC management at that time”. From the moment I said what I was reading, the whole interview changed. “Oh! Are you really?” exclaimed John. “That’s a marvellous book isn’t it?”. 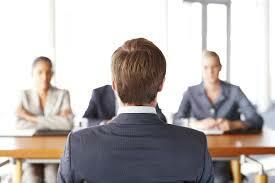 The questions became easier and I could sense the mood of the board was warming towards me. Needless to say, I got the job and spent 23 largely happy years at The BBC. From BBC Wales Today I moved to Television Current Affairs and the regular series Week In, Week Out (WIWO), which has now sadly been axed in favour of the occasional programme BBC Wales Investigates. 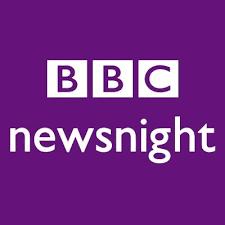 I covered innumerable stories and presented dozens of programmes on both television and radio, at The BBC based in Cardiff and London. I hosted a live BBC Radio debate series which toured Wales called ‘The People’s Assembly’, and several daily radio programmes. 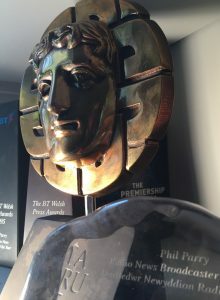 Apart from WIWO, I also presented a number of Newsnight films and Panorama episodes, and I was lucky enough to win several awards. But it seems my style of journalism is falling out of fashion, and knowledge of the law among leading journalists is scant. I moved to edit The Eye and we showed how the Editor of WalesOnline Paul Rowland had threatened to sue me over an accurate satirical item about the number of ‘stories’ they had published about the Cardiff bar Coyote Ugly using the extraordinary words “satire is no defence against libel”, when in fact sometimes it can be. Mr Rowland’s knowledge of what constitutes journalism is not mine, and he suggested to someone anxious to break into journalism, that writing lists about the best street food was the way to do it. But my different style of journalism, and long career in The BBC, was due, really, to a book. Tomorrow – the abuse on social media Phil and others suffer after we report comments of controversial author who was hit by a car and spoke of his suffering.